Lakshmi Prasanna Manchu is back to acting after a brief gap. She is playing a housewife in the movie whose husband goes missing. Lakshmi Prasanna starts an investigation to find her husband and she even approaches the cops. The film is the interesting tale of how events are going to unfold in the process of finding Ram, wife of Lakshmi Prasanna. A bunch of talented actors are a part of the project playing the crucial roles. Samrat Reddy plays the husband of Lakshmi in the movie. 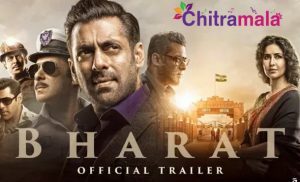 The theatrical trailer of the movie was launched a while ago and it has given the indication that the movie is on the lines of Kahaani starring Vidya Balan. Vijay Yelakanti is the director of the movie. The movie is produced by People’s Media Factory.